Randstad Education has been helping teachers and support staff to find temporary and permanent education jobs for over twenty years. Working with over 1,500 schools each week Randstad Education can find the ideal match for skills. Their knowledge and expertise in providing opportunities for supply teachers and support staff was independently recognised when they were highly commended at the prestigious 2013 UK Recruiter Awards. 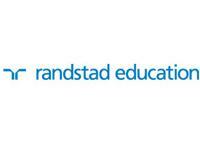 Randstad Education's vision is to remain the No1 ideal... Read more recruitment partner for teachers and support staff across the UK. Their dedicated teams of specialist education recruitment consultants work hard from a network 28 of local offices to give you the best opportunities. They pride themselves on meeting client and candidate needs and are able to offer their outstanding teachers guaranteed work and permanent contracts. Randstad Education teachers support over 85,000 children every day and their mission is to shape the world of education by raising standards and contributing to a safe learning environment through the recruitment of qualified professionals.